If your 4/20 plans are leading to adventuring in the great outdoors, be sure all of these items are ready and accounted for, to ensure the best holiday possible. With the upcoming holiday fast approaching, it’s important to ensure all of the proper party supplies are accessible. Grinders, pipes and vape pens are basic essentials every enthusiast needs. With many of us planning to spend 420 hiking and enjoying nature, while remaining in an elevated state of mind, Smoke Cartel has the perfect outdoor gear, ensuring no unfortunate breaks or spills along the way. 420 brings out the best in every cannabis users. The day we get to celebrate the magical herb we love so much is also the day many people find they’ve lost their pipe, toppled their grinder or dropped dabs. These things would be no problem if at home, but with so many of us planning to get outside to celebrate, Smoke Cartel carries some amazing products to ensure devastation-free adventuring. High-quality silicone to store your oils and waxes. made from thick molded NonStick Platinum Cured silicone making it incredibly sturdy and secure. Introducing the Smoke Cartel Medium 2.2″ 4-Piece Grinder! With 58 extra-sharp diamond teeth, this grinder will finely grind any dry material without losing any of the sharpness of the blades. The most common style of grinder is the multi-piece grinder, which uses several pieces that connect to create an area for grinding and storing. Many smokers find these grinders to be the most useful for the extra storing space, which can vary depending on size and diameter. These grinders usually have a top grinding space with many teeth that can be twisted to fully grind herbs, and small holes that allow for the herbs to drop down to the storing space. A Nectar Collector is a new trendy way to smoke concentrates, as opposed to a dab rig or oil rig. Nectar Collectors are unique among smoking gear in that they vaporize but they are not vaporizers; they are portable, but not hand pipes; they can use water, but are not water pipes or bubblers. No, the Nectar Collector is something entirely different, and it’s gaining popularity exponentially based on its effectiveness, ease of use, and for the fun times that you can have sharing it with your friends. Interested in a vaporizer, but not sure how they work? No worries, they are rather complicated devices for someone unfamiliar with the concept. Vaporizers heat substances to a specific temperature but doesn’t combust them. 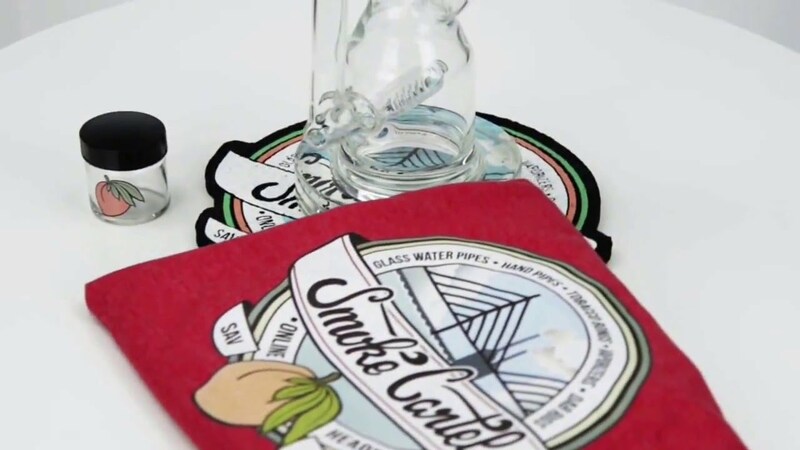 When smoking tobacco and dry herbs in a glass pipe, the lighter ignites them and combusts. The vapor you exhale is a fog like vapor. Vaporizers make it is very easy to inhale, and many say it is better for your health. How you use your pipe will ultimately determine the size of pipe that is best for you. Will your pipe rarely see beyond the confines of your living room or will it glimpse mountaintops and lakesides? Will it sit in your closet until your next birthday party or will it be readily available on your bedside or television stand? Smaller pipes, of course, lend themselves more to portability and can even fit in your bag or glove compartment. Smaller pipes could save you money and are easily cleaned and stored anywhere. Larger pipes are a bigger investment, but could give you more diversity in the type of joints and adapters that you choose and offer a greater selection of percolation chambers. A case to keep your pieces safe and sound! This hard-top case will give you peace of mind and mind your piece with two layers of protective foam. The pick and pluck foam allows the perfect fit for your piece and ensures your water pipe will be protected, no matter what shape it may be! Smoke Cartel offers an assortment of unique products, perfect for creating an individualized kit of accessories, customized for every outdoor adventure. This 420, be sure to visit their website and check out some new, exclusive products to enhance the herbal experience. What other items help you get back to nature, while remaining in a high state of mind? Let us know on social media or in the comment section below.